During the centenary years of the Great War, The Commonwealth War Graves Commission has been working on a multi-million-pound project for the restoration and conservation of the cemeteries and memorials in its care, many of them designed by or under the supervision of Edwin Lutyens. In 2017, the CWGC invited a small group of Lutyens Trust members to join them on a tour of some of their most important sites in northern France, including Lutyens’s Thiepval, Villiers Bretonneux and the Faubourg d’Amiens. The tour was led by the CWGC directors and heads of departments responsible for this work, who explained the challenges they faced and solutions adopted. Where alternative solutions were under consideration, they also took the opportunity to discuss these with the Trust members. The tour provided a fascinating opportunity for a close-up look at the work of the CWGC, in caring for these important Edwin Lutyens works. As a follow-up to this successful tour, the CWGC is now offering our members a similar 3-day tour of their work in Flanders. This will run from 17 – 19 May 2019. To set the scene for the tour – and at the invitation of the Government of Flanders – there will be a lecture at Flanders House, London by Mark Connelly, Professor of Modern British Military History at the University of Kent, who will speak about the WWI conflict along the Flanders front. Click here for information on the lecture. Parking: We would advise parking in the Multi-Storey Car Park at Ashford International. This can be pre-booked in advance at https://ashfordintl.co.uk/parking. The pick up point is a 10 minute walk. Buses and taxis are also available at the station for transfers (fees apply). Rail: Southeastern run direct high-speed train services from St Pancras International in Central London to Ashford International (via Stratford & Ebbsfleet). Conventional train services call at Ashford Domestic station from destinations in Sussex, Kent and London. For more information please visit the Southeastern website. From the West and London: Leave the M20 at Junction 9 taking the A20 towards Ashford town centre, take the second exit at the Maidestone Roundabout on to the A292 and you will find signposts to Ashford International. From the East: Leave the M20 at Junction 10 taking the A292 towards Ashford town centre, after approximately half a mile you will find signposts to Ashford International. Refunds for cancellations requested after the 14-day cooling-off period are subject to a £25 administration charge. Refunds will only be issued for cancellations made no later than 14 days prior to the event start date. It may be possible to make a member substitution if you contact us at least a week in advance of the event. Transfers to another event cannot generally be made. Any such transfers that are agreed by the Lutyens Trust will be subject to a £25 administration charge. If the Lutyens Trust cancels the events, we will refund the event fee in full. If the Lutyens Trust postpones, reschedules or relocates that event, or makes any other material alterations which mean you are no longer able to attend, we will refund the event fee in full. 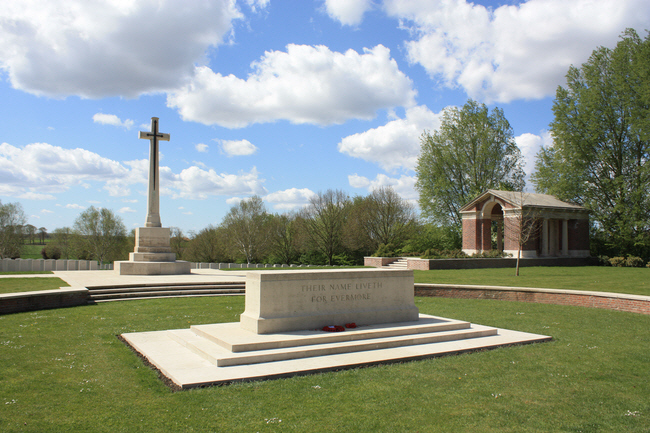 By kind invitation of the Commonwealth War Graves Commission, members are invited to join a tour of Lutyens sites in and around Ypres (Belgium). The price includes midi-coach transport throughout (departing from close to Ashford International Station); 2 nights stay in the 3-star Albion Hotel; a welcome dinner; 2 packed-lunches and entrance fees. Excludes: evening meals (18th/19th); wi-fi; travel insurance and gratuities. Please note that luggage is restricted to 1 cabin bag per person plus handbag and laptop bag. See first-hand the work that goes into keeping these national memorials in such fine condition and find out how this is achieved and the problems they pose. The tour will be led by the staff of the CWGC, with background provided by Mark Connelly, Professor of Modern British Military History at the University of Kent. 2pm onward. Visit to the Belgian Battery Corner Cemetery. 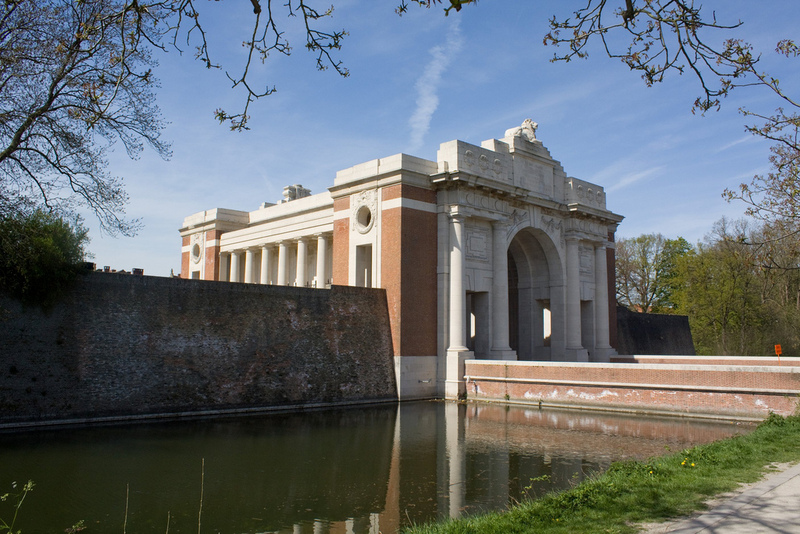 After which we will spilt into 2 groups, one will visit The Menin Gate to explore the structure from the roof and learn about the planned conservation works, whilst the other will attend a brief talk at the CWGC information centre. Then the groups will swap over. After checking into the hotel, we will attend The Last Post Ceremony. This will be followed by a Welcome Dinner at 8:30pm. La Clytte – behind the scenes on a planned restoration project on this Lutyens-designed cemetery. Reninghelst – a completed restoration project. Railway Dugouts – how does the CWGC invest in understanding its historic estate by creating conservation management plans? See how they are reinstating a lost complex tree design. We will break during the day to enjoy a packed-lunch in this stunning region. The day will conclude with a visit Sir Herbert Baker’s Tynecot Cemetery where some of Sir Edwin Lutyens’s own family are commemorated. 9:30am Depart hotel for a walking tour of Ypres to include Ypres Ramparts cemetery, led by Mark Connelly with Amy Harrison (CWGC intern), who will discuss the use of pesticides in Ramparts and other conservation issues. PM – Coach Pick-up and depart for UK (packed lunch provided). 7pm Coach Drop-off at Ashford Park Street. Please note that timings are approximate at this stage and may be subject to minor changes prior to the trip. Please note that we are quoting a cost for the tour at today’s rates. If exchange rates change dramatically between now and the departure date, we may have to ask for a surcharge. If you are unwilling to pay this surcharge, we will refund all money paid. For postal applications please send a SAE and a cheque for £675 per person (single occupancy) or £545 per person (double occupancy) made payable to “The Lutyens Trust” to Rebecca Lilley, Trust Secretary, Danewood, Crundale, Canterbury, Kent CT4 7EF.